The Protos 380 takes the legendary Mini Protos design DNA forward to incredible new levels of flight performance, durability, and technology. MSH has leveraged over a decade of airframe design experience and customer feedback to create something truly amazing. 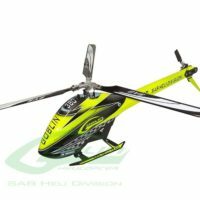 Designed from the ground up to break performance barriers and deliver a new experience not yet seen in this size helicopter. The Protos 380 is designed with light weight in mind, while delivering an extremely strong and robust airframe that can take abuse flight after flight. 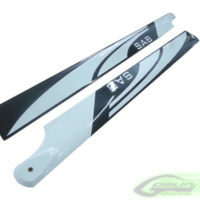 The design is very low parts count, and extremely fast to repair, keeping you in the air. 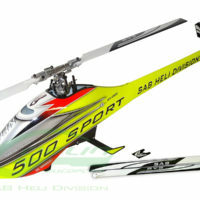 The use of mixed materials including carbon fiber, aluminum, composite plastics to optimize every aspect of the design. The future of the 380mm helicopter has arrived, and with it a new legend is born. The MSH Evoluzione takes design aesthetics to new levels. The 100% carbon fiber boom is not only beautiful, but incredibly rigid. The Evoluzione boom maximizes tail performance by keeping a very low profile in sideways flight. The Evoluzione canopy is streamlined and connects flush with the boom to enhance the aerodynamics of the model. The Protos 380 implements a robust twin belt transmission, with auto tail belt tensioner. This translates into thousands of maintenance-free flights and whisper quiet transmission. 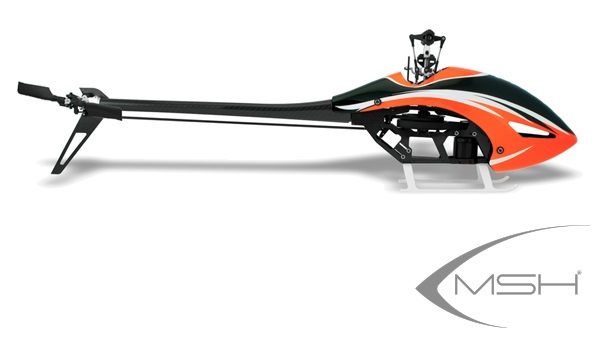 With the lack of gear mesh, the Protos 380 can handle huge power, while delivering it with no transmission noise. A robust one way bearing assembly is located in the main pulley assembly. The low drag setup allows great autorotation performance in a small package. A broken set of landing gear can ruin a day at the field. 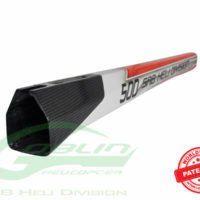 MSH is famous for their mastery of composite plastics. Gorilla gear takes unbelievable abuse landing after landing. Protecting the airframe and blades. Flying is all about the fun. And gorilla gear gives you the confidence to get low. Learn autos. And master the skid bump. MSH is a big fan of “set it and forget it”. The auto belt tensioner pushes the Protos 380 tail performance to all new levels, while allowing the pilot to just forget about checking and setting the tension flight after flight, despite changing environmental conditions. It also allows the tension to be reduce significantly improving auto-rotation performance. 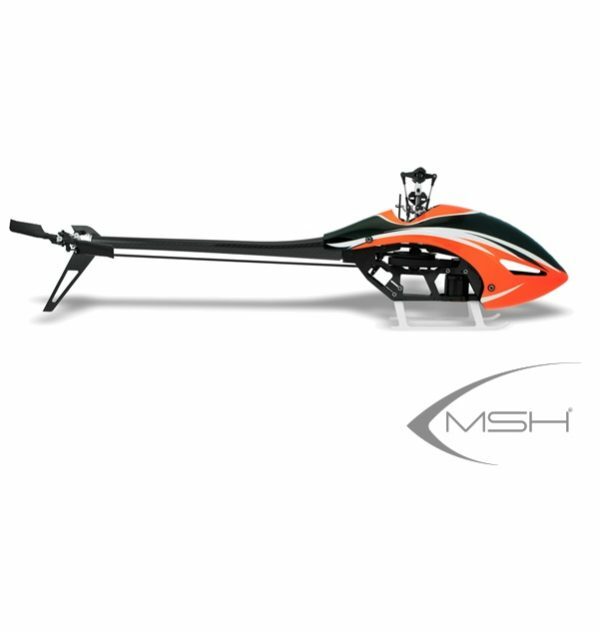 Carrying the Protos max heritage forward, the Protos 380 has MSH’s unique canopy mounting system. The canopy is installed and removed in a single motion. The end result – more flying and no fussing around to mount the canopy flight after flight. The mounting system utilizes powerful magnets with cupped mounts. One of the design goals of the Protos 380 is setup flexibility. The large ESC compartment fits up to a 100A ESC. Replacing belts should be easy. So the Protos 380 implements an aluminum single sided tail box to make field replacements fast and simple. The tail implements thrusted tail grips design for precision tail control. The Protos 380 implements a high tail ratio (4.3) with a low profile boom that’s capable of the most demanding maneuvers. 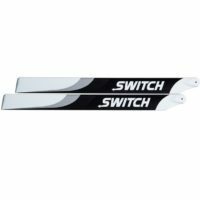 An optional speed up pulley offers a 4.47 ratio for extreme tail performance even at lower headspeeds. The tail is capable of handling extreme overspeeds with no resonance, which ups the fun factor. The 17mm boom is designed such that no supports are needed, reducing weight and optimizing tail performance. Pinions are offered from 14T to 25T. Supporting both 3.5mm and 5mm motor shafts. Build your 380 as an ultralight low headspeed machine, or set it up for the ultimate 3D sessions. The choice is yours. The ultra light disk loading makes an incredibly versatile platform . 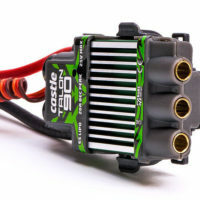 The Protos 380 canopy includes integrate holes to optimize cooling on the ESC and motor. 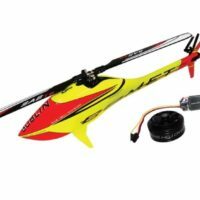 This increases reliability and allows back to back flying in harsh climates. The MSH power bus great simplifies wiring and improves reliability of the model. Throttle, RPM, BEC output, telemetry, and elevator servo are integrated into the power bus and routed back to the flybarless system. 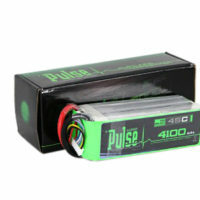 Battery Options: LiPo from 3s to 6s. Typical setup is 1300mah to 1800mah 6s (2200mah 6s max). Teeth pinion: 14T included (3.5mm hole: 14T, 16T, 18T, 8T, 19T, 20T) (5mm hole: 20T, 21T, 22T, 23T optional).